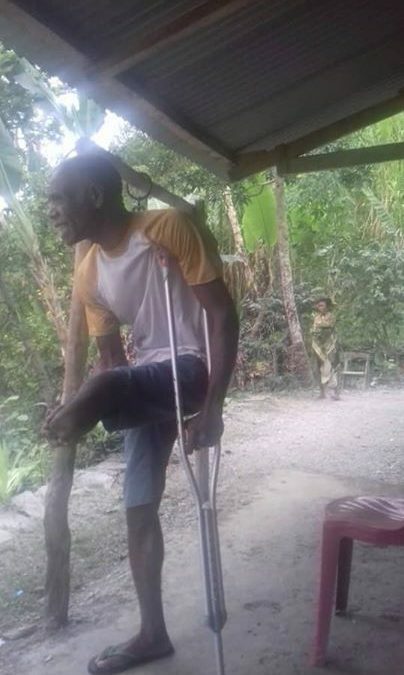 As part of exposing and increase the understanding of Timorese doctors to disability and it’s impact they have joined Klibur Domin on their home visits into the surrounding region. They are doing a medical assessment on the clients and learning about how to give social and practice support by their outreach physiotherapist Arsenio. These Timorese are often the poorest of the poor- so many challenges face them impacting on their quality of life. Access to transport, employment, income, medicines, equipment for mobility, engagement in cultural festivals when getting from A to B is so difficult, nutrition when you usually plant and harvest your own vegetables….. the list goes on.